Zach Collaros and Drew Tate sat next to each other on a recent flight from Toronto to Regina. That seems fitting, considering the quarterbacks’ fates appear to be tightly linked these days. 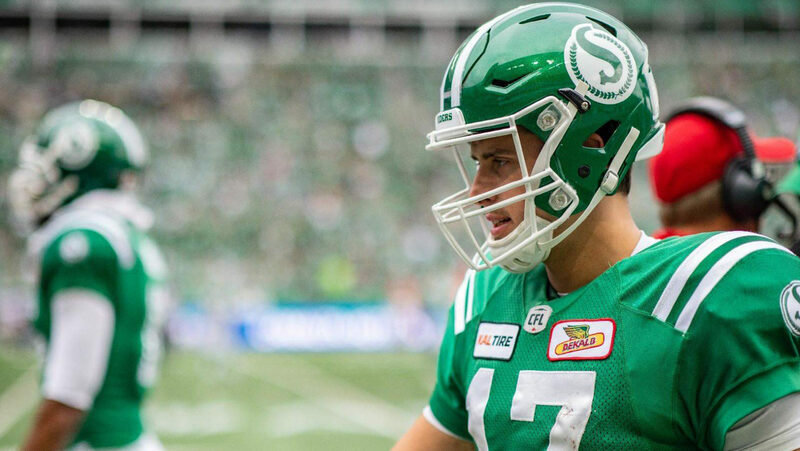 Collaros was on the Mosaic Stadium turf with the Saskatchewan Roughriders on Wednesday, taking part in a full practice for the first time since taking a helmet-to-helmet hit from Odell Willis in Saskatchewan’s 35-16 victory over the B.C. Lions on Oct. 27. 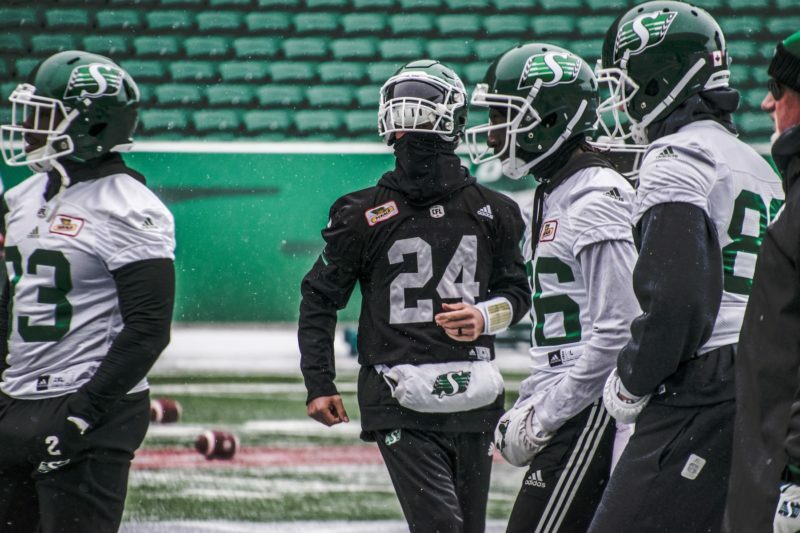 Tate also participated in the Roughriders’ practice, his first since signing with the CFL team on Saturday. Prior to that, Tate was a defensive analyst for the Coastal Carolina University Chanticleers, whom he joined in May after retiring from the CFL. 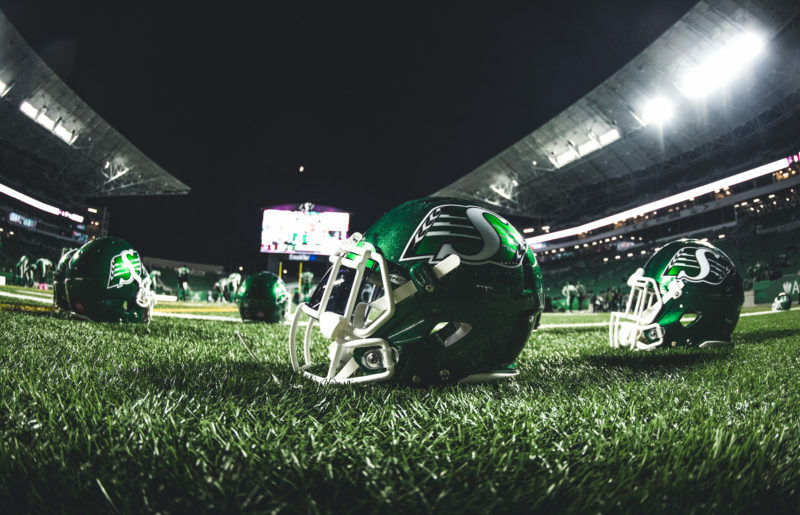 Saskatchewan head coach-GM Chris Jones said Wednesday that he signed Tate as a precaution; the 34-year-old pivot will only play in Sunday’s Western Semi-Final against the visiting Winnipeg Blue Bombers if Collaros isn’t ready to play. “We’ve been down this road before,” Jones said. “We don’t want to get in a situation where late in the week we don’t have but two quarterbacks in camp. On Oct. 27, Collaros was hit by Willis after completing a six-yard pass to Patrick Lavoie on the second-last play of the first quarter. Willis initially wasn’t penalized, but a challenge by Jones resulted in a roughing-the-passer penalty. Collaros stayed down for a few moments to collect his wits, but stayed in the game. He handed off to Tre Mason for a seven-yard gain on the final play of the first quarter and repeated that task on Mason’s seven-yard touchdown run on the first play of the second quarter. After that, Collaros was removed from the game by the Roughriders’ trainers. He was escorted to the locker room and didn’t return. In the days following the game, Willis was fined the maximum amount allowable by the collective bargaining agreement between the CFL and its players’ association. He took to social media to complain about the fine, but later apologized for his comments. Collaros offered his take on the incident on Wednesday. Collaros didn’t take all of the snaps with the first-team offence Wednesday — Bridge got a lot of them, just in case — but the Roughriders’ starter said afterward that he felt good. Jones, however, suggested that the team is going to take things “day by day” before deciding if Collaros will start Sunday. 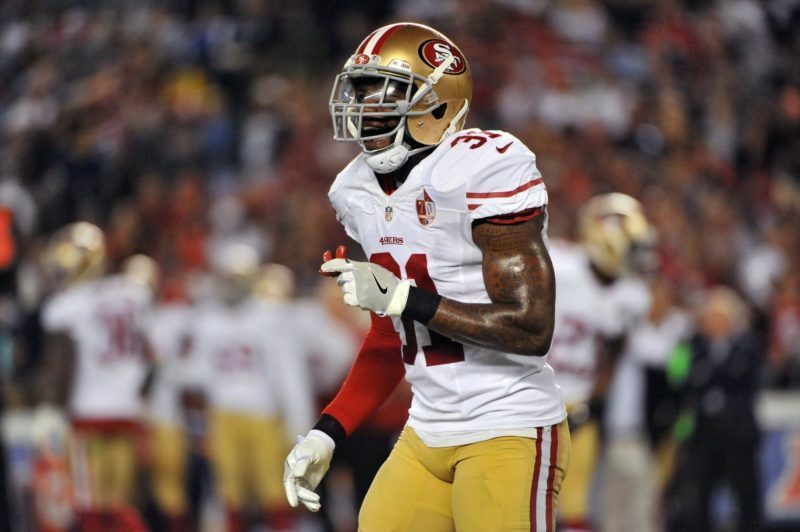 “He has passed all the protocol and that type of thing,” Jones said. “It’s pretty much in the trainers’ hands just to make sure. That’s fine by Collaros, who plans to display those traits over the next few days. 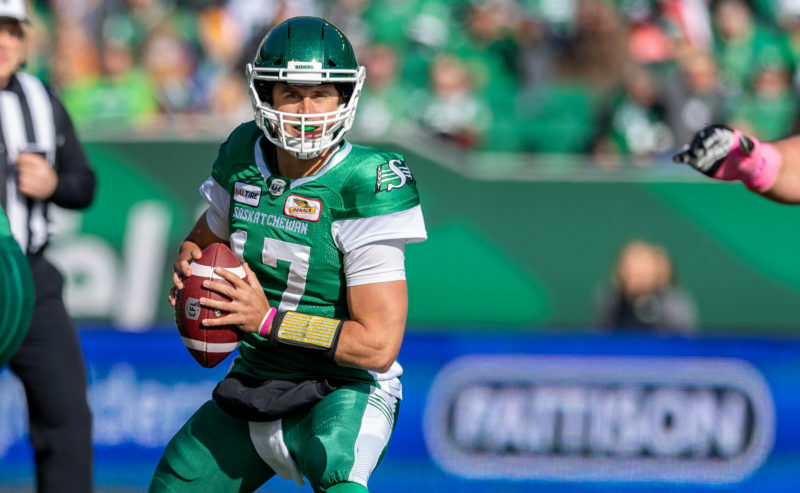 If Collaros’ attempts don’t succeed, Tate could appear in his first game with the Roughriders — even though he began his CFL career with them in 2007. Tate didn’t play a down in his previous stint with Saskatchewan, spending all of his time on the practice roster. He got on the field after signing with the Calgary Stampeders in 2009; he spent eight seasons with Calgary before joining the Ottawa Redblacks in 2017. Earlier this year, Tate went on social media to announce his retirement and to indicate his eagerness to become a coach. 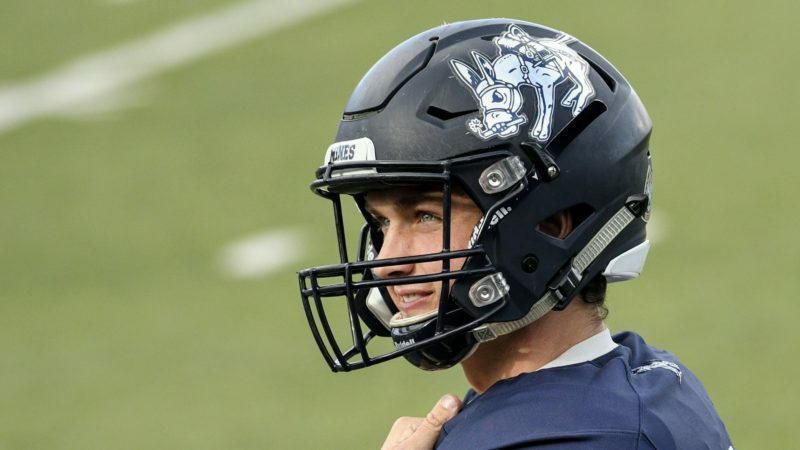 His stint at Coastal Carolina is now on hold, thanks to a call from Roughriders assistant vice-president of football operations and player personnel John Murphy. The men have known each other since their days together in Calgary. And, ironically, he ended up sitting beside Collaros. Tate still handles some responsibilities for the Chanticleers — “I have all my stuff online,” he said — but much of his focus is on the Roughriders’ playbook. He doesn’t think he’ll have any trouble picking up things quickly. He’s preparing to play Sunday, but he’s also soaking up everything he can for his return to coaching — whenever that is.